Tempo Pilates playlist – WHO RUNS THE WORLD? GIRLS! Its always when you wonder what happened to an artist, that they suddenly crop up with a ‘new album’, almost as if they heard you. The same can be said about La Roux who is set to release ‘Trouble In Paradise’ on 7th of July. The Brixton born red head has just released two amazing tracks ‘Let Me Down Gently’ which currently features on Tempo Pilates June playlist and ‘Uptight Downtown’, equally as fun, cool and sassy. She has gotten rid of some of the synthesisers (thank god) and pulled her vocal back a bit (loving that!). I must now draw comparisons to Bananarama ‘cause this sound and tone does remind me of the brilliant 80’s trio. Conway Hall on July 1st (close to our Covent Garden studio if you have tickets!) is sold out BUT you can still get tickets for 12th of Nov at 02 Shepherd’s Bush Empire. IF YOU ARE QUICK! And if you ever watched the ITV drama ‘The Bill’ or present soap – Emmerdale, you will see La Roux’s mum Trudie Goodwin. Awww. It would be hard for me to include every exciting thing that Robyn has done over her long career because she has done, well, so much! She started off voicing for animation film, has written for the eurovision song contest, recorded theme songs for television, and quite notably released an array of music, all from the mid nineties to today. Oh yes, be sure that Robyn had her r&b moments! Still nothing sits quite as right with her voice as electronic synth pop including the hit ‘With Every Heartbeat” that she has been banging out since she dropped her label and created her own Konichiwa Records. We hope you enjoy the remix of her new track in collaboration with Royskopp by Moullinex to motivate you during that challenging one leg shoulder bridge on your reformers. Meet Ella Eyre – young, gorgeous, sassy and with a modern day voice of Candi Staton. She has charged through an array of soulful female singers who are currently owning the block to take the crown. She is an addition to the London Brit School ‘Elite’, having studied there. You can see what all the fuss is about and I don’t think you will be disappointed by her confident and charming live performance, when she plays part of London’s Wireless Festival on July 4th. We have chosen ‘All About You’ from her ‘Deeper’ EP to inspire your determination to succeed during 100’s. PILATES FAQ, WHAT KIND OF RESULTS CAN I EXPECT? Practicing Reformer Pilates on a regular basis will help you to achieve a healthier body and mind; as a runner you can expect to build long, strong muscles, improve flexibility and lessen your chance of injuries. The way Pilates classes opens up the vertebrae in the lower back, in particular, helps to prevent the sort of back injuries which can result from constant impact involved in running. Now that we’ve cleared a few doubts, it’s time to give it a go! 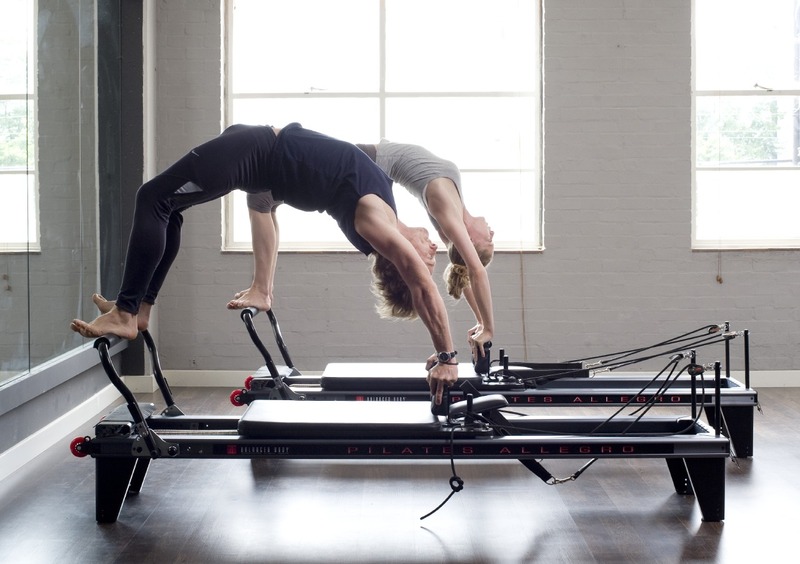 Feel free to join us at our reformer Pilates classes located in London, Hackney – E8, Shoreditch – E1, Covent Garden – WC2. See you there! Welcome to the Tempo Pilates method– fun reformer pilates classes to great sounds with an upbeat tempo. The method is currently reformer based and taught at three different studios in London E8/ Hackney, WC2/ Covent Garden or Gymbox and E1/ Shoreditch. If you wish to engage in a high-calorie work out to develop core body strength, you have come to the right place. Contrasting to other styles of Pilates, the Tempo Pilates uniquely promotes fun fitness via upbeat soundscapes; our aim is to help you every step of the way. Feel free to follow us on Twitter or ‘like’ us on Facebook for live updates. To book a class at our London E8, Hackney or WC2, Covent Garden/ Gymbox studio, click here> or read more, click here>.